Hello Unity friends! 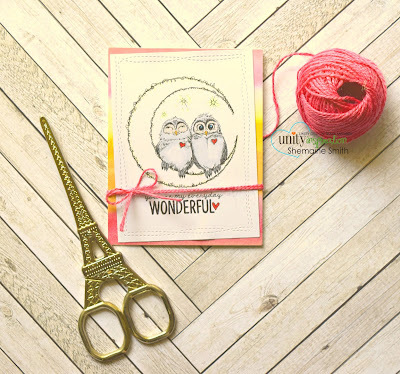 I hope you are all enjoying a relaxing Sunday. I know I am so far. Today I am sharing a card I made using the latest image in the Uniquely Unity line. Here's a little creation I made with the image. 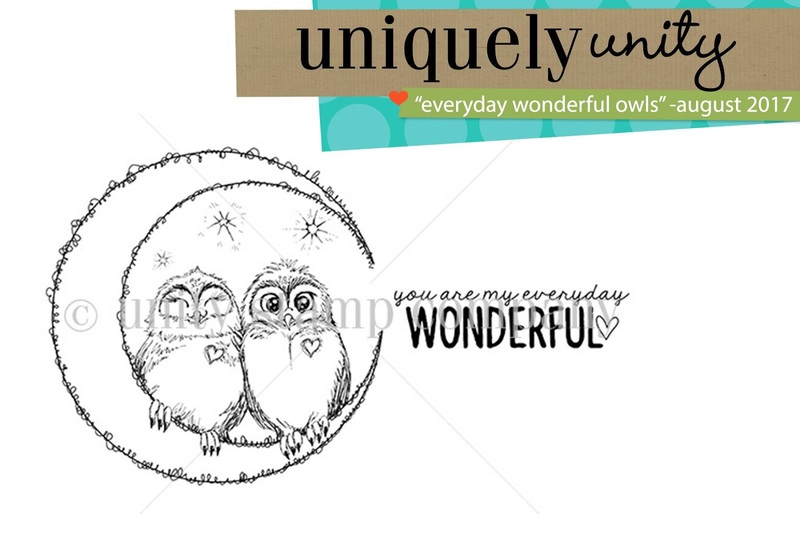 As you can see, this image is a great size for the A2 card, measuring Owls sitting in the moon measures approximately 3.25″ x 3.25″ and the “you are my everyday wonderful” sentiment measures approximately 1.25″ x 2.25″. To sign up and find out more information about Uniquely Unity, click HERE.